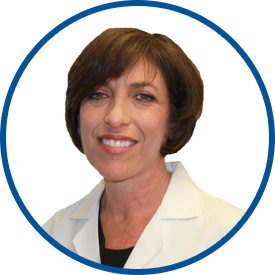 Dr. Wachs is board certified in internal medicine and in her chosen field of rheumatology. After receiving her medical degree from New York University School of Medicine, she completed an internship and residency at Montefiore Medical Center and went on to do a fellowship in rheumatology at the same institution. Prior to joining WESTMED in November 2012, Dr. Wachs was in private practice in Riverdale for the past 10 years. Before that, she was full time at Montefiore, where she served as rheumatology fellowship director, director of the rheumatic and orthopedic disease section of the second year pathophysiology course at Albert Einstein College of Medicine, director of the Montefiore Medical Center Lupus Clinic, and director of the North Central Bronx Hospital Arthritis Clinic. Dr. Wachs holds academic appointments at Albert Einstein College of Medicine and Montefiore Medical Center. She is affiliated with Montefiore Medical Center. care provider is great, answered all my questions and concerns. I am very satisfied with Dr. Wachs and would happily recommend her to family and friends. I am a bad patient for any doctor, but *Dr. Jane Wachs treated me politely, even became friendly after she got to know me. Excellent experience each and every time we have an interaction. Dr. Wachs should be rewarded for her attentiveness with her patients.